American Council on Exercise is a nonprofit fitness education, certification, and training company. ACE provides initial certifications as well as continuing education to maintain certifications. I worked on a project to update their continuing education website. ACE needed a method to highlight certain courses without pushing the others too far out of the limelight. 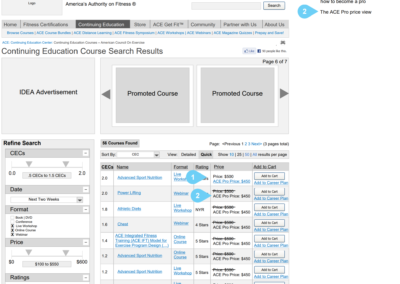 ACE wanted to improve their position as a leading continuing education provider. There needed to be more attention devoted to how live events were handled. 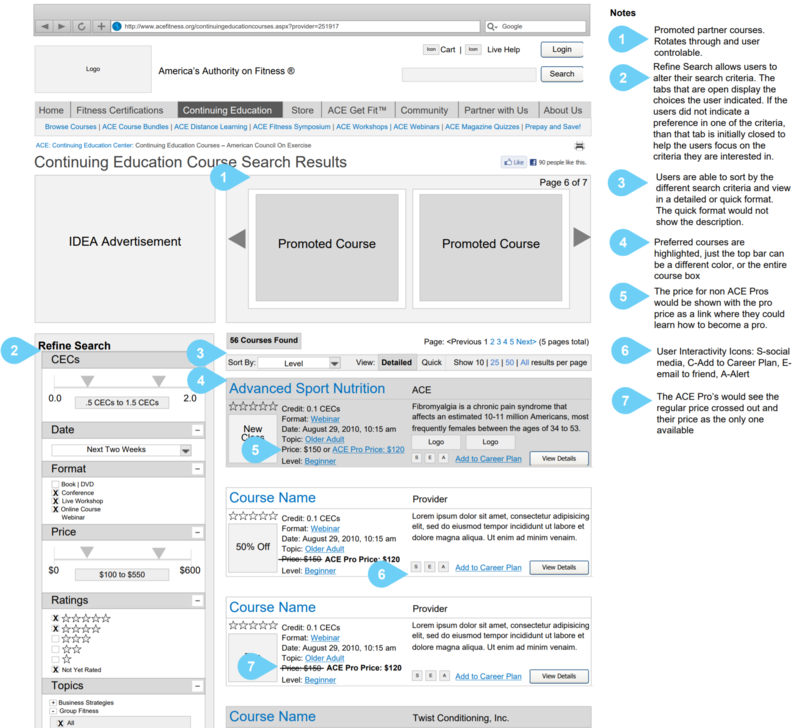 Needed to develop a system for ranking their courses in the search results to allow for priority ranking. 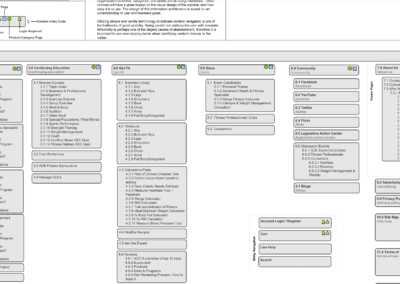 I started off by creating a sitemap to determine their current layout. This helped identifiy duplicates, dead ends, and their current flow. It is depicted below. 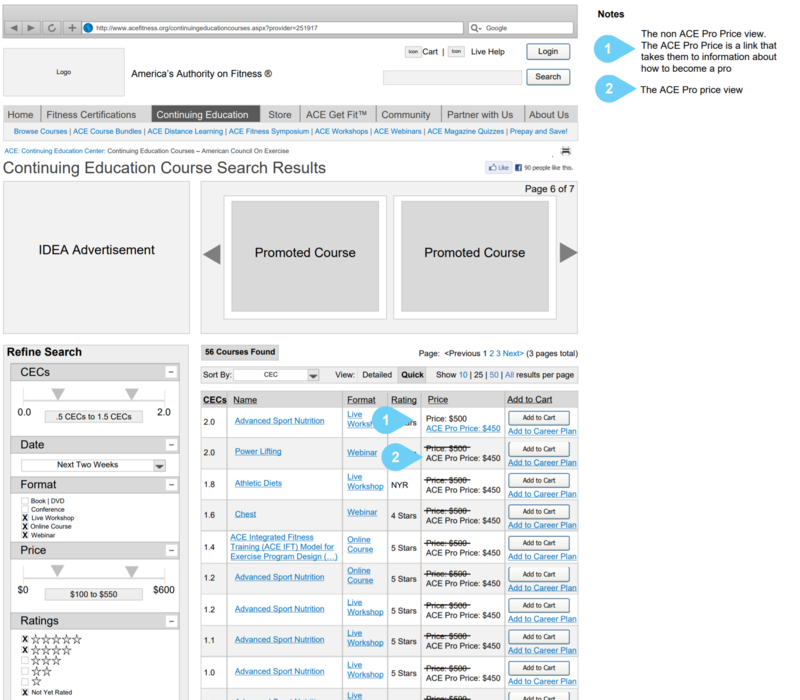 I then wireframed out the content paying special attention to their promoted courses, search requirements, and emphasis on becoming one of their premium members. 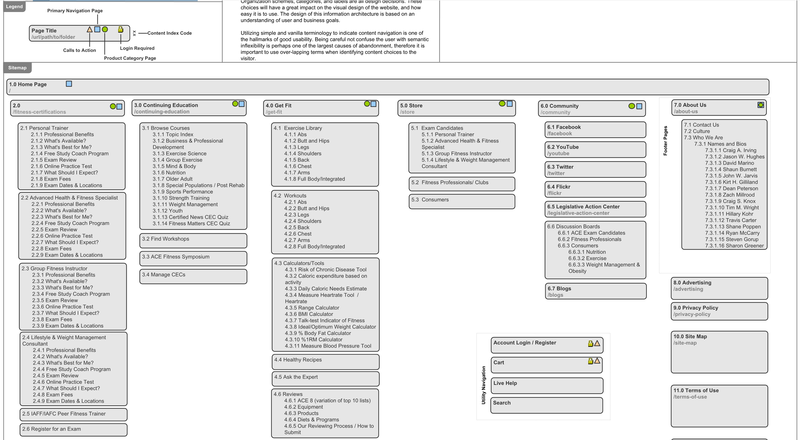 This sitemap was used to map out all of the pages we would need to wireframe. 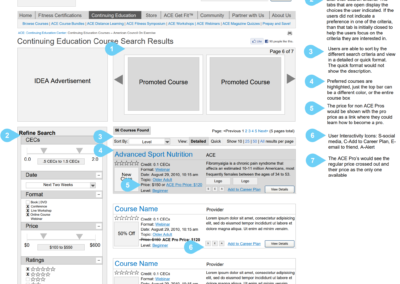 This page showed the class list and the filters available to redefine the search results. 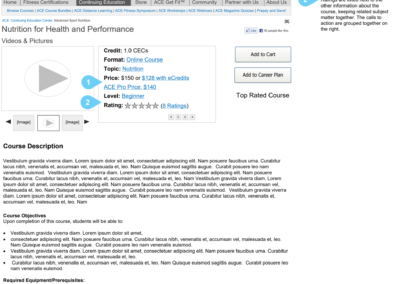 Thie showed teh detailed course pages view. 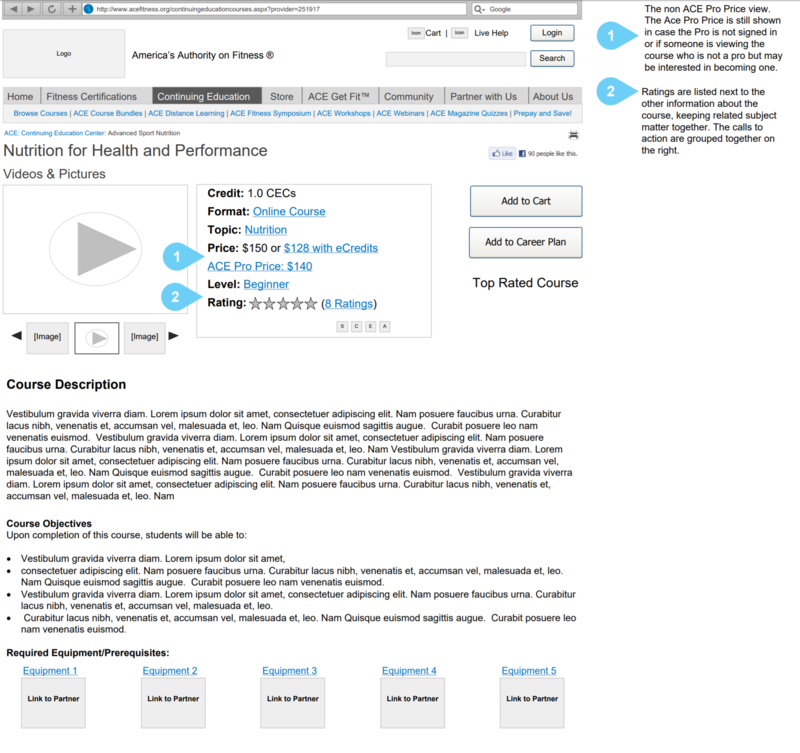 This page simulated the information provided on the individual class page.